"In all my years as a comic book editor, I have never come across a 'first time' script that came within a light-year of equaling Elliot S! Maggin's 'first time' comic book script. Indeed, to equalize this thrilling experience, I must go back to the early 1940s when, as a literary agent, I sold the very first story of a young Ray Bradbury." Must There be a Superman? - Elliot's first Superman story! The Bronze Age Superman ! Superman #400 - The Living Legends of Superman by Elliot S! Maggin! Kingdom Come Introduction! - Elliot's introduction to the graphic novel! Elliot S! 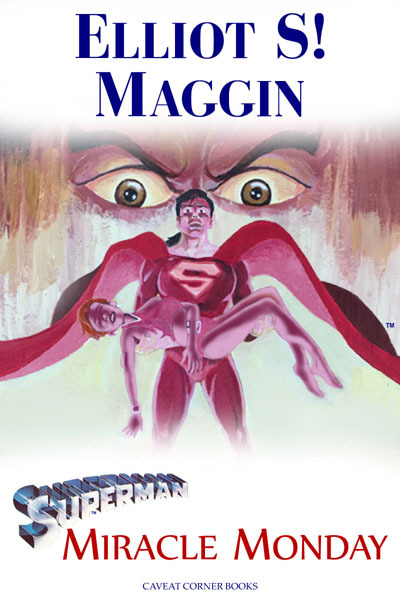 Maggin talks about Clark Kent! Elliot S! Maggin talks about Lex Luthor! Elliot S! Maggin: Campaign Manager! Project S! is now complete! Thanks everyone! "Virtually all the information humans receive, they receive in the form of a story." Interview: Elliot S! Maggin by Bruce Bachand - in which Elliot waxes wise about many things! The story he had to tell ! "I got into the habit of putting exclamation marks at the end of sentences instead of periods because reproduction on pulp paper was so lousy. So once, by accident, when I signed a script I put the exclamation point after my 'S' because I was just used to going to that end of the typewriter at the time. And Julie saw it, and before he told me, he goes into the production room and issues a general order that any mention of Elliot Maggin's name will be punctuated with an exclamation mark rather than a period from now on until eternity." This page is fan produced and is not affilliated with Elliot S! Maggin, DC Comics, Warner Brothers, or any other comic book companies, any non-comic book companies, or any individuals, real or imaginary - except for Superman. Superman TM DC Comics & © DC Comics, Joanne Siegel, and Laura Siegel Larson.